Here we bring you a mod that lets you play the Ocarina for Zelda fans. The Ocarina Mod 1.6.2 and 1.6.4 is a modification that adds an object well known to fans of Zelda and is the Ocarina from The Legend of Zelda: Ocarina of Time. 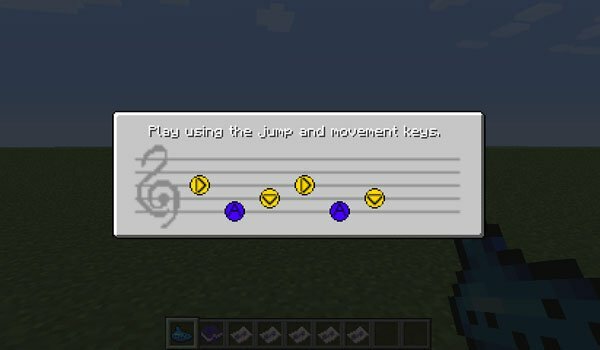 The mod adds several songs that can be played, following the instructions of the scores of each song. To access the menu of the mod, you just have to put the Ocarina in your hand and right click. To sound the Ocarina, only need to use the arrow keys and space key. How to install The Ocarina Mod for Minecraft 1.6.2 and 1.6.4? We can play the Ocarina in Minecraft!